Perspectivity Network Event: Get the best out of non-verbal communication! The human face speaks volumes. If you look at it factually, you’ll see more! 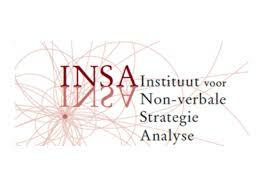 During the Perspectivity Network Event on Saturday September the 17th, we will get to know the INSA method of non-verbal strategy analysis. We all have experiences with interpreting facial expressions. These mainly involve reading emotions. The face shows important non-manipulable information about people’s personalities. Which messages are people transmitting, what are they sensitive about? Based on scientific research, the INSA developed, together with the University of Amsterdam, an innovative method that makes it possible to read someone’s basic and reflex behavior from their face in roughly five minutes. The information is derived from highly repetitive and measurable micro-movements in the face. The INSA method allows observing people factually and without judgment. It enables you to see behavior before it occurs, on the basis of information that is not manipulated. Useful to resolve conflicts quickly and effectively, see through a person or develop yourself and communicate faster and better, for example in the context of consultancy, team analysis, mediation and coaching. – You can experience the impact of these non-verbal cues and the given feedback.